Planning is a collaborative process, not an isolated event. Clients are best-served by a fiduciary who provides advice based solely on the client’s best interest. Planning is about achieving goals, not about chasing return or trying to beat the market. Each client deserves a plan that integrates all the facets of their financial picture. Solutions to complex issues must be simple, actionable and designed with the end in mind. Mid-career professionals and families with young children looking to get their financial planning “house in order." Later-career professionals planning for income distribution in retirement. We have niche expertise for clients who work for technology companies in Silicon Valley. 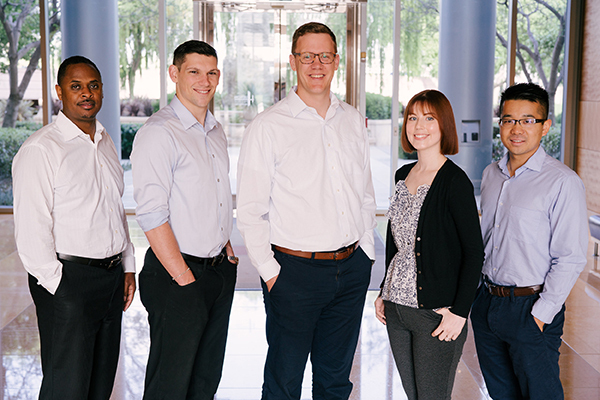 In particular, we help them optimize their employer benefits and help them develop an overall strategy for their stock options, RSUs, ESPP, 401(k), and investment accounts. By focusing on what matters most to our clients, we put together a strategy and work together each year to achieve their goals. 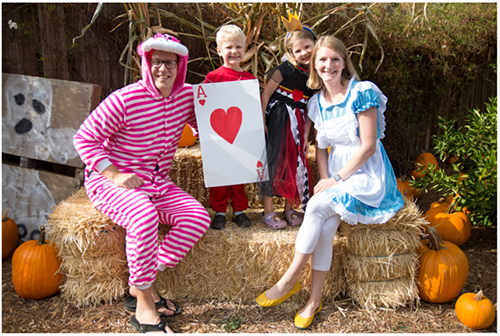 We had an amazing time getting into the spirit of Halloween with our clients and their families at our 4th Annual Pumpkin Patch! There was pumpkin carving, face painting, crafts, and an adorable array of wild animals, superheroes, and fanciful creatures in attendance! To those who could attend, thanks so much for joining in the fun and it was great to see so many pumpkins finding “happy homes” just in time for Halloween festivities! Feeling like you missed out? Fear not! The 5th Annual Pumpkin Patch will be back again in 2018. 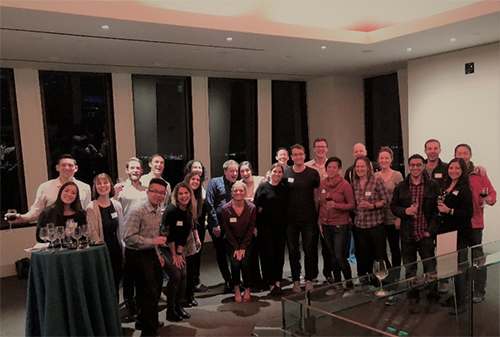 We made the most of a rainy evening in San Francisco hosting our first "Tasting on Top of the Pyramid" event this March. Competition was fierce and fun in the wine/cheese/chocolate tasting, and congrats to our grand-prize winner (Jenny Founds) on winning a year-long membership to Newsome Harlow winery. Looking forward to making this an annual event in the City and thanks to everyone that was able to join us! 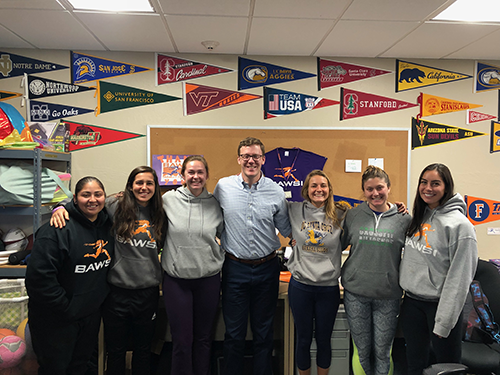 This December, Chris spoke to Bay Area Women's Sports Initiative (BAWSI) about financial literacy. BAWSI seeks to “Engage, Inspire, and Empower” children of local communities. Because of how important their cause is, this is the 4th year that Chris has volunteered his time! Be sure to check out their website to learn more and click here to learn more about our efforts! 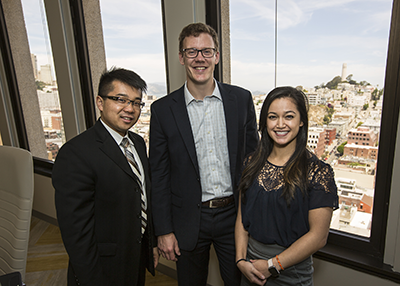 Lots of fun at the Northwestern Mutual ribbon cutting ceremony for our new space in the Transamerica Pyramid in San Francisco! Love the space and especially the new views of the Bay! Northwestern Mutual is the marketing name for The Northwestern Mutual Life Insurance Company, Milwaukee, WI (NM) (life and disability insurance, annuities, and life insurance with long-term care benefits) and its subsidiaries. Christopher B. Andrews is a Representative of Northwestern Mutual Wealth Management Company® (NMWMC), Milwaukee, WI (fiduciary and fee-based financial planning services), a subsidiary of NM, and federal savings bank. All NMWMC products and services are offered only by properly credentialed Representatives who operate from agency offices of NMWMC. Representative is an Insurance Agent of NM and Northwestern Long Term Care Insurance Company, Milwaukee, WI, (long-term care insurance) a subsidiary of NM, and a Registered Representative of Northwestern Mutual Investment Services, LLC (NMIS) (securities), a subsidiary of NM, broker-dealer, registered investment adviser and member FINRA (www.finra.org) and SIPC (www.sipc.org). Christopher B. Andrews is primarily licensed in California and may be licensed in other states.